Recently, I received an email from a litigation attorney from Connecticut who asked the question above and about following up with clients following the conclusion of representation. It seems that some clients of the firm who seemed happy with the work the attorneys were doing were going elsewhere for subsequent representation. So I dedicate this and the next few Rainmaking Recommendations to this attorney with thanks. One of the most frequently heard reason that clients don’t come back is that they don’t know all of your (and your firms) legal capabilities. 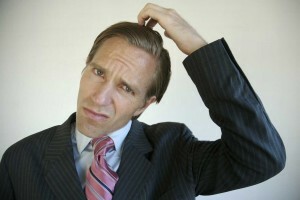 If you have ever heard a client subsequently say: “I didn’t know your firm did that,” you have experienced this problem. One of the things I hear is that the attorney told them in the initial consultation that they (or their firm) could represent the client in many different matters. You need to understand, when a client comes in to your office, they are usually focused on one issue; the one problem they are currently experiencing. This causes them to truly not hear anything else but what applies to this situation. I mean literally. The only thing they want to hear is how you can help them with this problem; what is going to stop their pain. Anything else you tell them will go in one ear and out the other. Then, you the attorney become “tunnel-visioned” – busy schedules, other matters and clients, court, briefs, yada yada yada – cause you to neglect to remind them of all of your other abilities. This is why you need to consistently and constantly tell them over the course of the representation all of your (and your firm’s) capabilities. After you have met them, during the course of your representation, and following the conclusion of your matter, you need to keep reminding them how you can assist them with the other matters that may come up in their lives in the future. Use newsletters, connect with them on Social Media sites, send personal messages, ask for feedback. Each time you contact a current client using Rainmaking and Marketing tactics to tell them all that you can help them with in their lives, you ensure that if something comes up with which you can assist, they will remember to contact you.